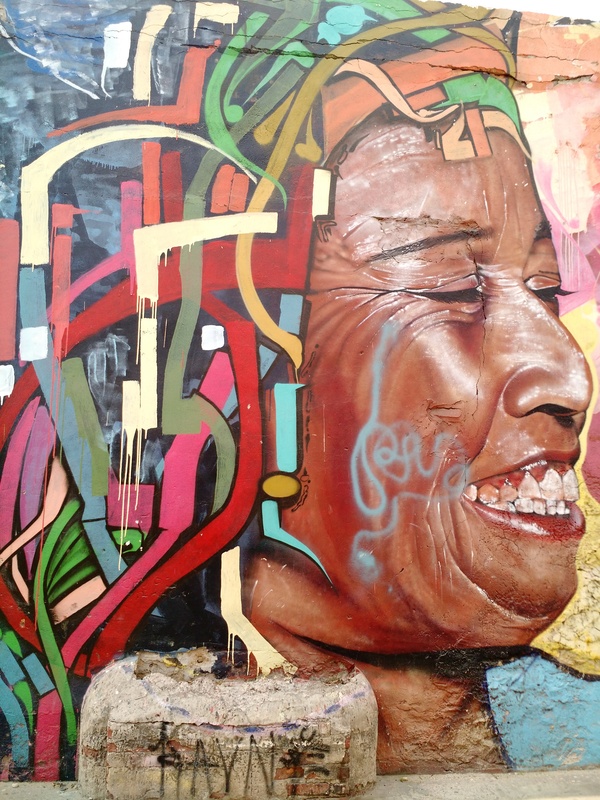 If you ever get a chance to go to Cartagena, Colombia I hope that the street art tour is still happening. It’s done by an artist from Belgium living in Cartagena and it was incredible. I learned a lot about the history of Colombia, current politics in Cartagena and I got insight into the lives of street artists. And I saw incredible art. The tour was rich with history on every piece. I used a new app on my phone to take notes that I wasn’t familiar with and accidentally deleted everything I had written down. So I will do my best to impart what I learned. The tour took place in Getsmani, which the area just outside the historic district of Cartagena. It used to be a red light district and is now rapidly gentrifying because of tourism. In fact some of the art reflects that tug of war. I present to you the first piece, which was the first stop on the tour and is an important place to start with the history of Colombia. It is a depiction of India Catalina by Findac, a well-known Irish street artist. India Catalina was an indigenous woman who acted as an intermediary and interpreter during the Spanish conquest of Colombia. She married but she was a never was fully accepted by the Spanish nor was she still a part of her original community. She fled to Spain but she disappeared and likely murdered. There are statues of her in Cartagena, as she is now an icon for pre-Hispanic Colombia. The singer is Joey Arroyo, a famous salsa singer from Cartagena, most known for the song, “No le pegue a la negra” which means don’t hit the black woman. It’s a song about slavery and is part of the history Cartagena. The lyrics are intense, important and a great dance song. I went to a salsa bar in Cartagena and danced to this song with a local. It was magical to hear Joey Arroyo say Cartagena, while I was in Cartagena! A whole different meaning than dancing to it while in California. This building is for sale as many are trying to cash in on the value of changing Getsmani. 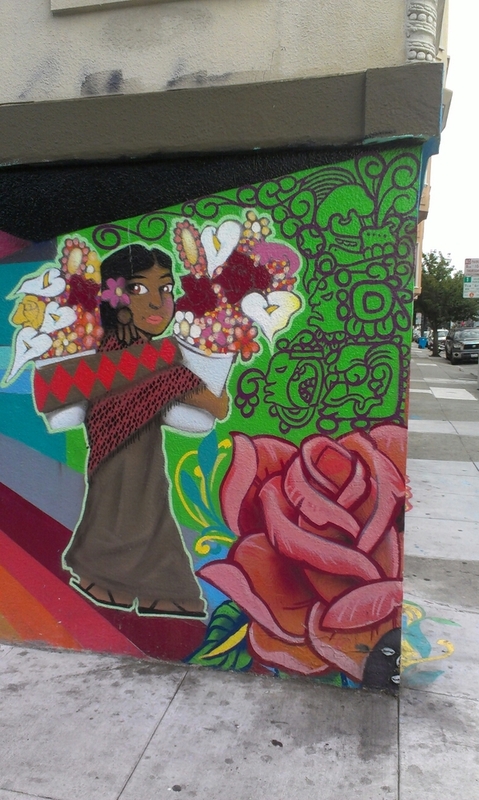 It is likely that the mural will increase the value of the house. The sign was intended as street art and is not a for sale sign. 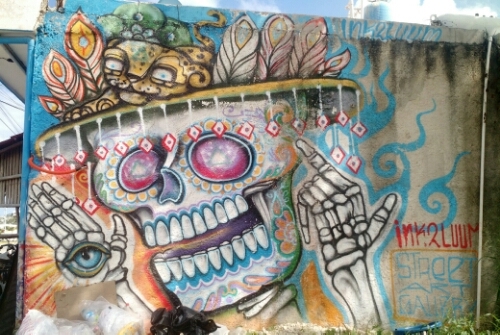 Street art in Getsemani has tried to bring the conversation of gentrification and environmentalism together such as in this painting. Such talent with so much soul! Can you remember the location of India Catalina? I can’t seem to find it anywhere. 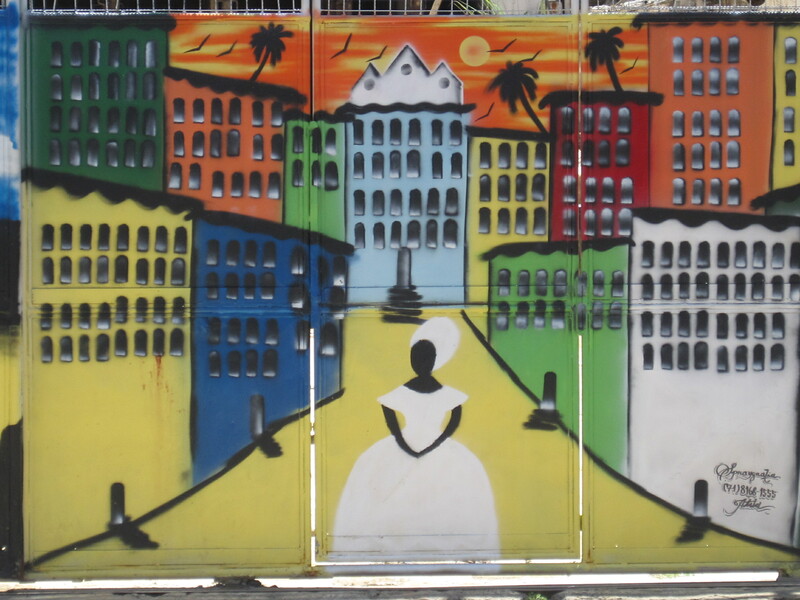 The location of the India Catalina painting featured in this post is in Getsemani across from Trinidad plaza.